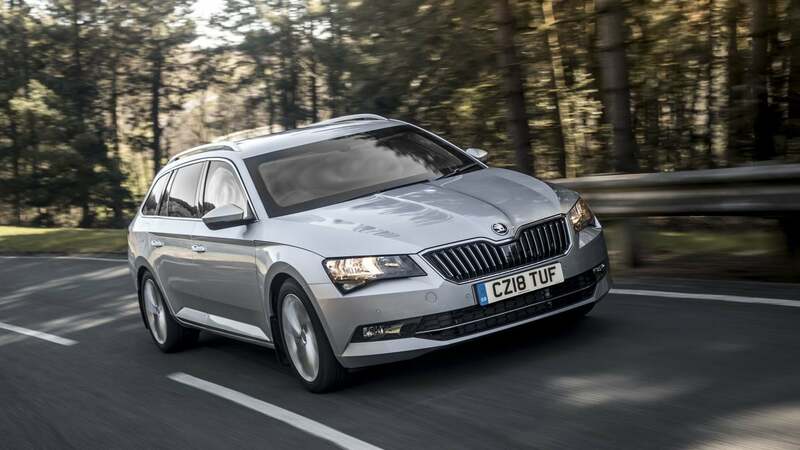 This new Superb wagon is a whopping £118,688, or almost $210,000 at current exchange rates. That's $169,000 more than the base price of the wagon, and, according to Skoda, the extra money will get a buyer bullet-resistant glass, high-strength steel, wheels that continue to run even when deflated, a siren system and a three-year warranty. The car also comes with Apple CarPlay and Android Auto, which are equally as important as the blast protection. For sure. More videos of weapon testing on armoured cars, please. Many more. It comes with the same 2.0-litre TDI engine with 187 horsepower as the regular Superb, but all of that protection from attack adds some weight to the vehicle. Skoda didn't say how much, only that suspension and braking were "upgraded to account for the additional weight." [...] Other features incorporated into the design include adaptations to the wheels that can continue to run even if the tyres are deflated — allowing the driver to get to a place of safety after a blowout — and an emergency lighting and siren system. The Volkswagen Group was reportedly contemplating bringing Skoda to the U.S. a couple of years ago, when its Dieselgate scandal was in full force instead of the numb buzzing sound it's turned into three years later, thanks to the continual emissions cheats from other manufacturers and never-ending attempts to fix the cheating cars. But that move wasn't meant to be, and, alas, we'll probably never see one of these fully armoured wagons in America, or here in Australia.